Sad news Dean and Spencer both expired over the weekend. They got greedy and were unable to digest their food. In other news the common pipistrelle Bob collected Thursday flew for 54 minutes this evening and the soprano pipistrelle collected onFriday flew for 20 both will be released tomorrow evening at opposing ends of Bedfordshire ! A successful outcome to report of a bat that was taken into care on Thursday lunchtime. 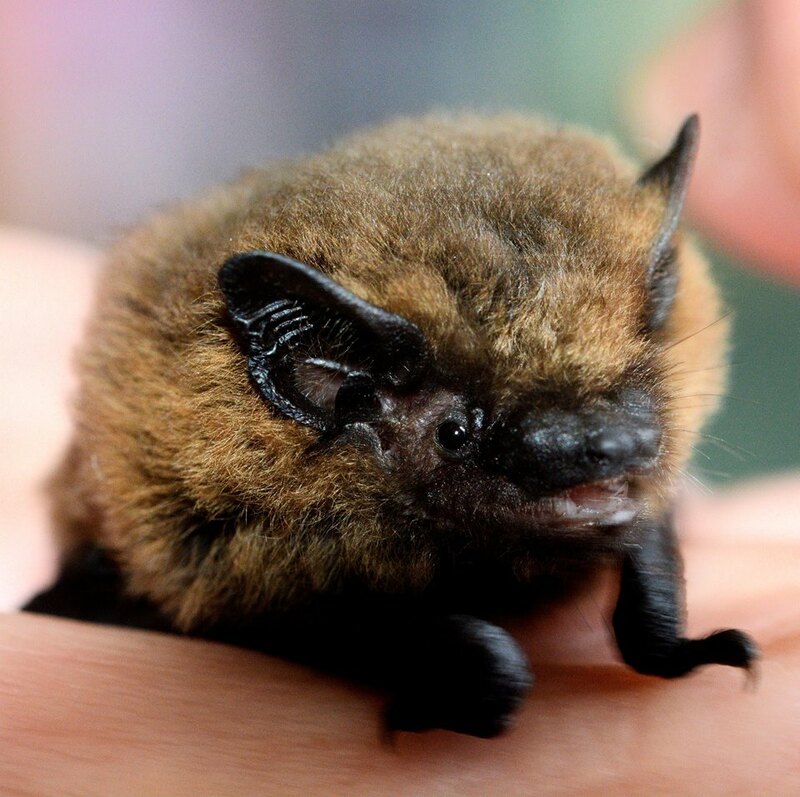 A male Common Pipistrelle, he was found during a maths lesson at a school in Leighton Buzzard. He was given plenty of water to drink, and then meals of live meal worms. He put on weight, and as there were no obvious injuries we decided to try to release him this evening. The school grounds were locked, so we stood outside the grounds. As soon as the bat realised he was being held on an open hand, he took off and flew strongly towards the trees on the other side of the road from the school. Here’s a photo taken by Richard Hogg of Gilbert the Common Pipistrelle this afternoon. Gilbert had posed nicely on Angie’s hand.